Seoul / Hong Kong: A collapse in commodity prices due to the global financial turmoil is a blessing for Asia, whose huge appetite for natural resources has prompted cash-rich firms to go bargain hunting. Shares in Australia’s third-largest oil and gas firm Santos Ltd jumped on Monday on a report that China National Petroleum Corp., parent of Asia’s top oil and gas producer PetroChina, may team up with a foreign firm to buy the company. On Tuesday, sources said Oz Minerals Ltd, the world’s second largest zinc miner, was attracting the interest of Chinese metals companies, including CITIC Resources Holdings Ltd, China Minmetals Corp. and Chinalco, parent of Aluminum Corp. of China Ltd (Chalco). And last week, sources told Reuters that Australian coal miner Felix Resources Ltd was in talks about a possible takeover by China’s No. 3 miner, Yanzhou Coal Mining Co. Ltd, for around $2 billion. “There are a number of companies that are distressed and that will have to sell assets," said UBS’ Patrick Loftus-Hills, managing director, investment banking, joint head of Asian Industrials Group. “From the Asian perspective, in Japan, Korea, China and India, there is still money available for those that want to do deals," he added. A case in point: Japanese trading house Itochu Corp. said in October it and six Asian steelmakers will spend at least $3 billion on a 40% stake in Brazilian iron ore miner Namisa as they seek a stable supply of raw materials. A month later, resource-poor South Korea offered $1 billion of financing to Brazilian iron ore minor Vale to beef up its interest in overseas mining projects. While Asia’s appetite for resource assets will grow, some analysts say tight credit and sellers’ reluctance to part with assets at fire-sale prices may trim the number of mega deals and longer negotiations. 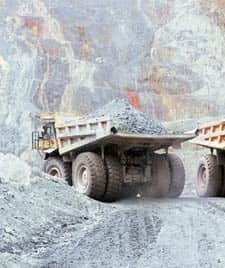 A recent walkaway by BHP Billiton Ltd, the world’s top miner, from a hostile $66 billion bid for Rio Tinto highlights the increased risk of buying a highly indebted firm in a market downturn and a tendency for predators to be more selective. “China Inc. is cashed up in dollars ... and like many investors appears unwilling to catch a falling knife," said Citigroup Inc.’s Clarke Wilkins. Some bankers predict China, which has seen stakes in private equity firm Blackstone Group Lp. and Morgan Stanley slump in value, is encouraging state-backed firms to wait until markets cool in 2009. “The sense we’re getting is that the Chinese government is telling these guys to slow down," said a Hong Kong-based investment banker at a Wall Street firm. “They’re saying, ‘wait until Q1 or Q2, and then buy´." In Japan, where trading firms are leading an overseas foray, big players such as top-ranked Mitsubishi are turning cautious and reviewing investment plans as they fret about a large appraisal loss as a result of a tumble in the value of resource investments. Chinalco said it would increase its stake in Rio Tinto to at least 14.99 %, and South Korea’s Posco raised its stake in Australian iron ore miner Murchison Metals Ltd to above 12% as Murchison’s shares dropped to below 1 Australion dollar in May.